On responsive templates, links and pop-up submenus can be added to the shop header navigation menu. Clicking on links opens the link in the browser, and clicking on submenus opens a menu on the page displaying the contents of a customizable box. Both of these can be added to the main header by navigating to Design → Layout, scrolling down to the Expanded navigation menu part of the Header section, and clicking (+ Link) or (+ Submenu). They can also be added to the expanded navigation menu popup at Design → Expanded navigation menu in the same menu. 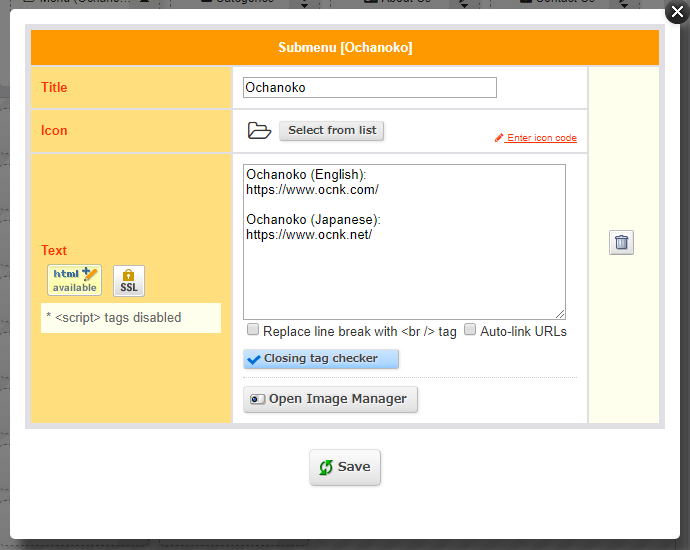 Links can be set to open in a new menu by checking the Open link in new menu box. Otherwise, they will redirect the browser away from the store. 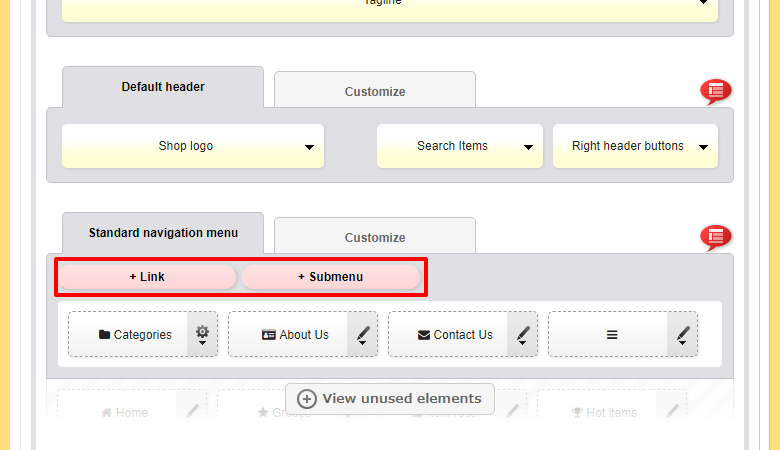 The submenu box is an HTML-enabled field, where you can add text, simple lists, or more complex HTML fomatting. After a link or submenu is added, it can be moved around in the header like any other element. Q.How do I configure main page layout?